FintechOS, a company specialized in accelerating the digital transformation of financial institutions, received EUR 600,000 in financing from GapMinder VC, going up to a total of EUR 1.6 million. The company aims to attract another EUR 400,000 as a follow-up round by the end of 2018, to reach a capital threshold of EUR 2 million in the seed stage, anticipating series A bonds round of about EUR 5 million in 2019. The investment will be used to achieve two strategic objectives in 2019: the company’s international development in markets in Western Europe and the US and the acceleration of the development of proprietary technologies based on AI (Artificial Intelligence). 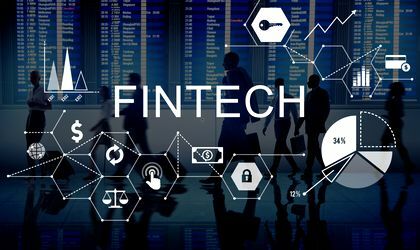 FintechOS succeeded in attracting clients like ERSTE, Vienna Insurance Group, TBI Bank, Orange Money, NN, Hyperion, or Idea Bank, which are already operating in less than 12 months from being set up, already operating a portfolio of assets of over 5 billion euros. The company provides high-tech financial institutions in North America and Europe with fast access to state-of-the-art technologies that can deliver new financial services, products, digital channels, or customer interaction experiences 10 times faster than a traditional development environment software. By implementing FintechOS’s technology, customers also report a reduction in operating costs of up to 5 times. “GapMinder’s investment gives us the opportunity to consolidate our position on the world’s most powerful financial markets and comes as a new recognition of FintechOS’s potential after last month we became the first Romanian company to be integrated into the Microsoft acceleration cloud program in London. I am confident that through GapMinder’s investment we will be able to offer our customers significant competitive advantages by more quickly deploying more accessible and personalized services through state-of-the-art Artificial Intelligence technologies,” says FinCom, CEO Teodor Blidarus. “We were impressed by FintechOS’s vision, ambition and power of execution, reflected in a significant increase in customer revenue from a vertical high-tech competition, that of financial services in the Central European region, as well as advanced markets such as the UK. 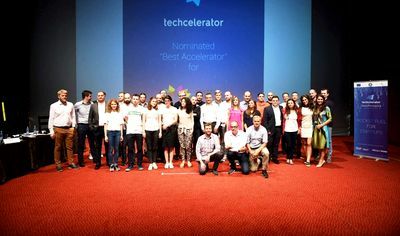 The approach and the course of this company perfectly overlap with our investment strategy,” says Dan Mihaescu, Founder Partner GapMinder VC. The company launched the WOZ version of the platform in October, which accelerates and simplifies the implementation of bank and insurance processes. The attracted funding allows for the development of a new generation platform, under the GENIE code name, which will revolutionize the financial system by integrating AI technologies with processes specific to banks and insurers. GENIE will be presented to developer communities in the summer of 2019 and will be launched publicly in September 2019.